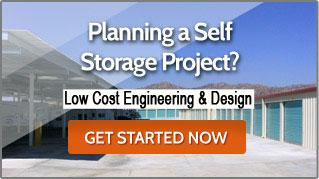 Engineering and Design Services from Leader in Self Storage Construction. Whether you are planning to expand or upgrade your current self storage facility, convert an existing building, build a new single story or multi-story facility or want to add boat & RV storage, the Mako Steel team of engineers, designers and site developers will guide you through every step of the planning and construction process. From initial concept through completed construction, we will help you design and build your self storage project quickly, with the lowest possible cost and to maximize your income potential. It is important that your self storage facility be designed by industry professionals who understand the self-storage business. With over 20 years in the business and millions of square feet of self storage built, we know what it takes to be successful in the self storage business. That experience is translated directly into your facility design. Looks do matter. Your Self Storage Facility needs to blend into its environment. If your facility is near residential or high end office parks, you will want to incorporate finishes that are in keeping with the environment. However, if you are building a facility in a rural area, you may want to keep the design simple. We will work with your budget to give you a design that cost effectively meets your needs while making it look good at the same time. And we will help you design your self storage buildings to meet the requirements of city planners and permitting departments. We design construction efficiencies into your self storage project so we can reduce erection time. You save time and money in construction and start renting sooner.